Zacro lightweight bicycle helmet can give you an enjoyable and safe journey during riding. The tough and durable PVC & PC, EPS foam material that decreases the impact forces of the collision would stop worrying about the hurt. Riding with Zacro bicycle helmet can meet your satisfaction and have a wonderful time. 1 x Water & dust resistant cover (Black). Warranty: Every Zacro product includes 18-month warranty. Tough and durable: PVC & PC, EPS foam material is safely and helpful to decrease the impact forces of the collision. Safe: 54-62 cm adjustable straps and CPSC Certified can protect your head, which meets the satisfactions of most cycling riders. Comfortable: The special aerodynamic design that makes air ventilated can keep cool during riding a bike. 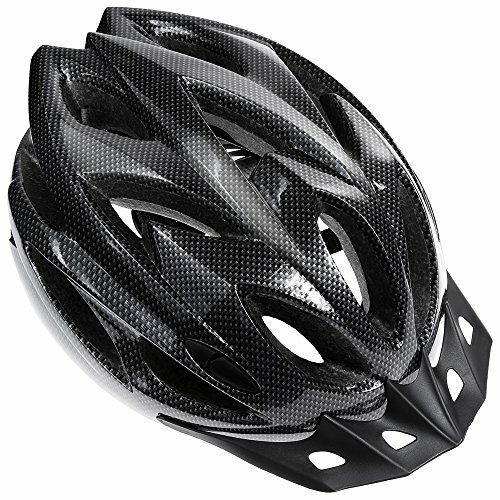 Lightweight: 225g super lightweight helmet will not cause any burden to the rider's head during cycling. Bonus: An extra water and dust resistant seat cover which can protect your seat from water and dust in rainy. If you have any questions about this product by Zacro, contact us by completing and submitting the form below. If you are looking for a specif part number, please include it with your message.